A vacant lot in South Whitley will soon be transformed into a downtown gateway. 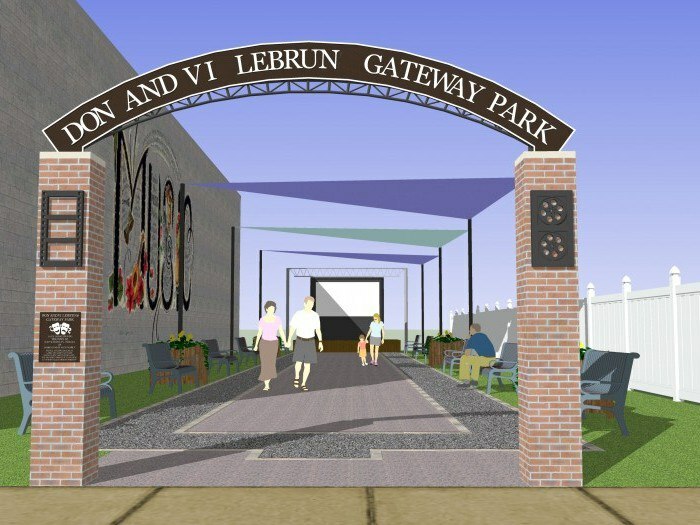 Town leaders are raising funds through the state’s CreatINg Places program to create the “Don & Vi Lebrun Gateway” project. The project will construct a park in honor of the owners of the theater that once stood on the empty lot. “The new gateway park in South Whitley will allow an area of downtown to become the focal point of togetherness and engagement for our community. It will bring the community together to create a unique space for public events, outdoor movies, small concerts and great conversations. The parks and recreation department is very excited to create a space such as this in downtown South Whitley,” said Jeff Beer, president of the South Whitley Parks Department. The park will feature a stage in honor of the site’s historical use as a theater. “The opportunity to honor the legacy of Don and Vi Lebruns and create a community park that respects the original use of the space will benefit South Whitley residents and serves as a central connector to downtown South Whitley,” said Riley Hollenbaugh, the town’s director of workforce and community development. Town leaders hope to raise $30,000 for the project, and will receive a matching grant of $30,000 from the state if the goal is met.